The V40 ThinQ came out just a couple of weeks ago and it's too early to say if it will achieve the success that LG hopes for, but it already seems that the South Korean giant is already laying the ground work for not one, not two, but a whole lot of five more iterations in its V-series lineup. That's right, Dutch website LetsGoDigital uncovered that the manufacturer just applied for trademarks for the LG V50, V60, V70, V80, and V90 with the Canadian Intellectual Property Office (CIPO). 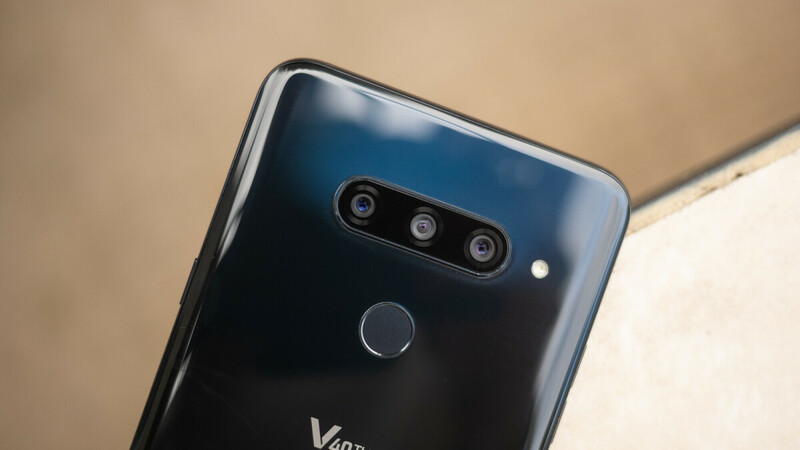 According to the V-Series release cycle, we could very well be looking at a very solid five-year plan for LG which is obviously not considering to phase out its better flagship lineup. Now, trademarking future devices is something totally normal for just about any phone vendor, not just LG. In fact, the giant has already secured the adequate names for its regular G-series flagships well until 2020. Seeing how consistent with its releases LG has been over the years, it's safe to come up with the logical conclusion that we will be seeing V-series devices from the Koreans well until 2023. Of course, while it's quite early to make any assumptions, an educated guess is that we'd see all of these devices announced at the IFA trade shows in each respective year as the company favors the Berlin-held expo very close to its heart. Great phones, but if they could only improve the camera, battery and software..